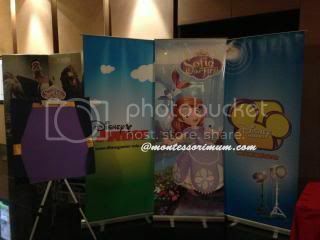 For those who like the Western, Wild Wild West Theme, now we have the very first Western series for preschoolers airing in Disney Junior. This brand new series made it debuts on Disney Junior (ASTRO Channel 613) on Monday , 24th February 2014. Following the debut, the series will be aired EVERY DAY at 1pm on Astro 613. This is a vibrant and music filled animated series utilizes the folklore of the Old West to impart positive social skills and lessons for young kids age 2 – 7. It teaches the kids how to be good friend and neighbor, highlighting lessons about forgiveness, honesty and sharing. Mandy Moore is the voice behind the cute Sheriff Callie. This series follow the story of Callie, a Calico cat sheriff who keeps the peace in her frontier town of Nice and Friendly Corners using her magic lasso and cowgirl know-how. It is set against a backdrop of the colourful Old West. And don’t forget to tune in to 613, everyday at 1pm to meet Sheriff Callie on screen. This is a outdated post again. I am always slow in blogging these days. 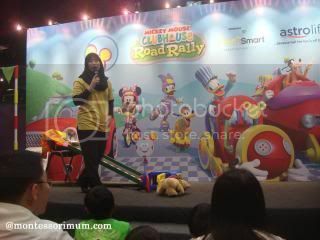 Sometime before the school holiday started, I received an invitation for a up close and personal session with Hi5. Since my kids used to (the older ones) watch Hi5 and the little one also started enjoying it, I wouldn’t want to miss it. 15/11/2013, last day of school, I brought JL to the Hi-5 teams up with Dumex Mamil All ‘n One event. I wish I could bring all kids, or at least two younger ones, but I was only allowed to bring one child. Nevertheless it was really a fun session. 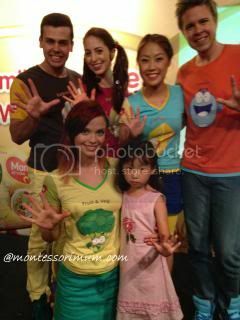 Hi-5, the award-winning Australian children’s musical group, consists of 5 dynamic performers namely Stevie Nicholson (aka “Stavros”), Lauren Brant (aka “Lolly”), Dayen Zheng, Ainsley Melham (aka “Ains”), and Mary Lascaris (aka “Mare-bear”). This energetic group presents the contemporary ‘pop’ style of music and a fun, colourful, exciting world of imagination that children 2-8 years are invited into wholeheartedly. They star in a popular TV series, Hi-5, which is a vibrant mix of stories, investigation, imagination and adventure and encourages children to explore the world through movement, laughter and lots of catchy music. 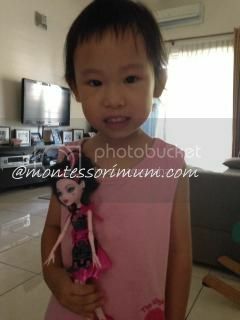 With Hi-5, learning is playful, fun and inclusive. Most importantly, Hi-5 seeks to support the young child’s growth in all areas – cognitive, social, emotional, creative and physical – while encouraging children to develop their own potential. Actually we missed and prefer the original Hi 5 crews. My kids are still watching the very old vcd of the original Hi 5. Find out more about the Dumex Mamil All ‘n One Hi-5 contest at the Dumex Mamil Facebook page at www.facebook.com/DumexMamil or call Danone Dumex Careline at 1800 38 1038. This is such an outdated post. I had it in the draft, half completed and totally forgotten about it until I was reminded to post about it by *ahem* the organizer. 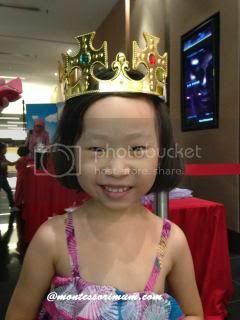 I have a princess wannabe at home. 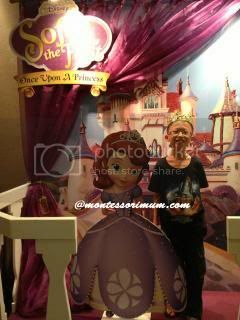 When we received the invitation to a movie premiere on Disney’s first little girl princess, I could hardly resist the invitation. I have submitted all four kids information for the invitation confirmation, though I only have two little girls that are still into Disney’s girly, princessy cartoons. 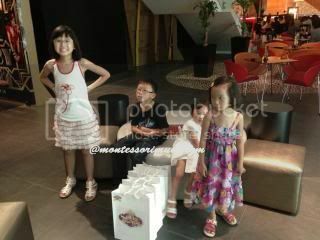 JS being a tween is no longer interested in princessy cartoon and WH being a boy couldn’t even care less. But since there won’t be anyone home look after them, I have to bring them along. 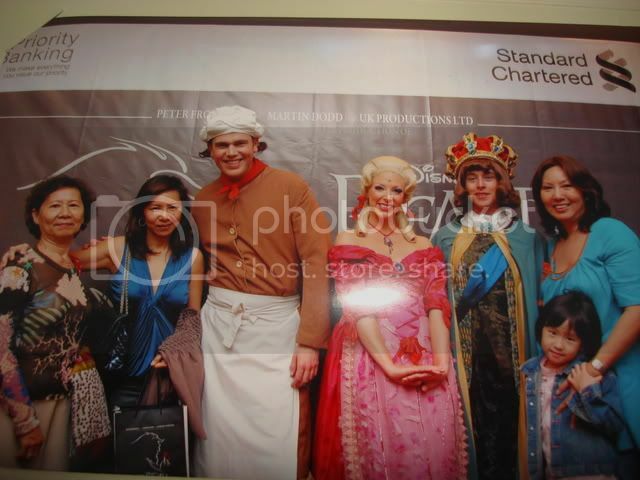 The movie premiere screening was held at GSC Signature @ The Gardens on 11/5/2013. 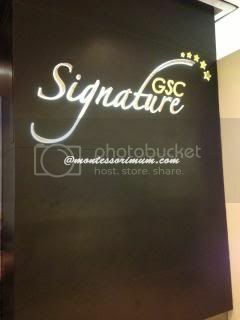 This is my very first time going to the signature cinema. The ambiance is so different from the normal cinema. More classy and comfortable. Should I know they provided pop corns, mineral waters and Coke, I wouldn’t have bought a set myself. 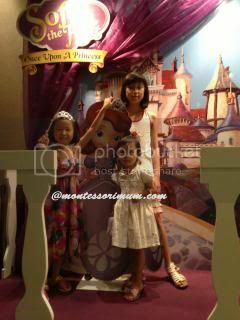 Now, did the two older kids find the Princess Cartoon Movie to be too childish and boring? Heck no. They love it and enjoy it so much. 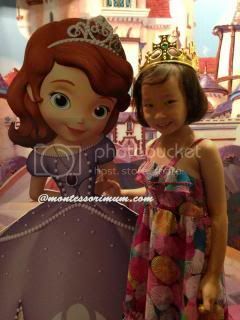 The music filled animated television movie storyline had manage to captivate the interest of an 11 years old tween and 9 years old boy. JS was saying she finds the movie meaningful what what the values the movie is trying to convey. The only little bumper was that the two older kids were a tad disappointed as they have expected it to be a 2 hours movie, but it only lasted 45 minutes. The whole lot of goodies we brought home. Thank you so much to the event organizer Indeedcommunications. 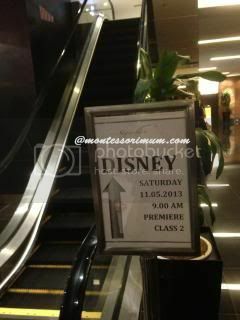 If you are subscribed to Astro, tune in to Disney Junior (613) or Disney Channel (615) to catch this movie. The premiere for the moved on 613 was on 19 May , 2013 11a.m and 27 May 2013 @1 pm @ Channel 615. All my three girls watched this movie during premiere screening on Astro again. This is certainly one movie you can watch over and over again without feeling bored. 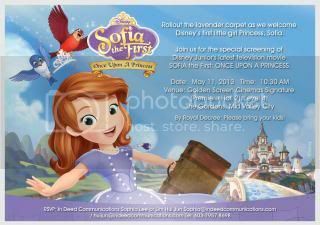 Disney Junior will launch “Sofia the First” television series too. I am sure my princess wannabe will ask for it. 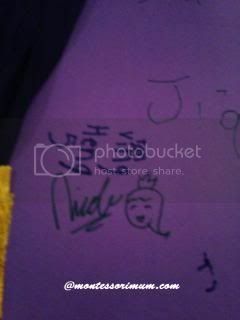 Even up till today, JL is still mentioning on how a princess should waves her hands. 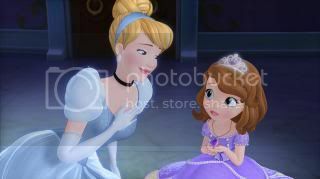 The movie is set in the storybook world of Enchancia, introducing Sofia – an average girl whose life suddenly transforms when her mother marries the king and she becomes a princess, Sofia the First. Sofia must learn to navigate the extraordinary life of royalty while holding on to her own hopes and dreamHers and her journey to being the best she can be also paves the way for those around her to realize how special they each are. Her royal adventure begins as she prepares to move into the castle with her mom, starting a new family with her step-father, King Roland II, and step-siblings, Amber and James. Getting help from another Disney classic in her journey are the three headmistresses of Royal Prep Academy – Fauna, Flora and Merryweather (the beloved fairies seen in Disney’s classic “Sleeping Beauty”) and royal steward, Baileywick, as well as a group of cute woodland creatures led by a wise-talking rabbit, Clover. 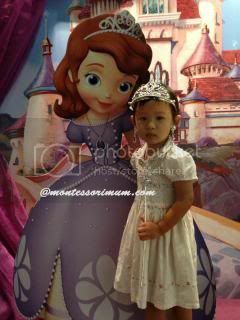 Sofia soon discovers that looking like a princess isn’t all that difficult, but displaying honesty, loyalty, courage, independence, compassion and grace is what makes one truly royal! 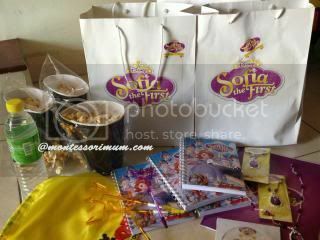 Using positive messages and life lessons, the stories from “Sofia the First” are created for families and applicable to young children. 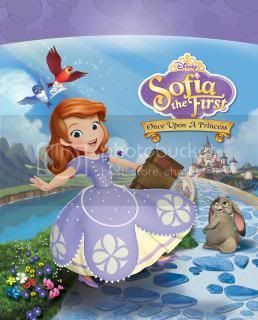 While she lives in a captivating world of castles, wizards and flying horses, Sofia remains a relatable peer-to-peer princess who is experiencing many of the same social situations as young viewers at home including learning how to fit in, making new friends and mastering new skills. * Very back dated post. Part of the goodies we brought back..
最美好時光 is the girls latest favourite Chinese song. JS learned this song in school. During music lesson in school, the teacher didn’t teach them the boring childish song in the syllabus , instead the teacher teaches them many songs of this genre together with the sign language.. It’s all about happiness, being grateful , be loving kind of song. JL learns many of these song from her sister too. I like this kind of songs. 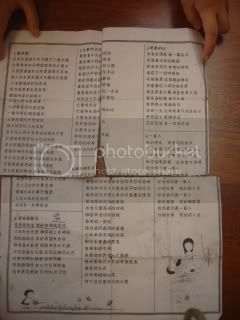 JS’s “kiam chye” song sheet from school. All three of them love books and we got a small collection of books at home. Recently JS commented that she is bored and has got nothing to read. I pointed the many books at home and said that those books are childish. 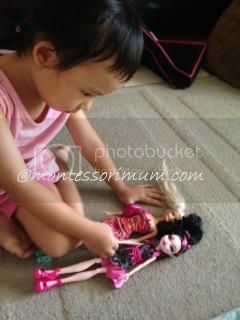 (True though..most books are more suitable for preschooler and my own collection seems too advance for her). I haven’t build up a collection of books which is suitable for her age. We tried to buy a few, but that will not be a long term solution as we almost run out of storage for books. Hence I told her we will go rent some books. Each time I drove around the neighborhood, I have noticed this shop with a big BOOK RENTAL sign. I have made a mental note to drop by for a visit. We finally during the week JS was having her mid term exam (actually I told her we will only go after her exam, but both of us can’t wait). I always have an impression that a book rental is usually dark and is full of racks and racks of books. Usually novels, love stories. I am mentally prepared to be disappointed to find books that JS will find interest in. 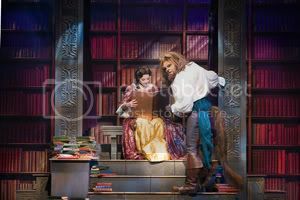 To our great surprise, this place is spacious, bright and have more books cater for children, it is really a child friendly place. 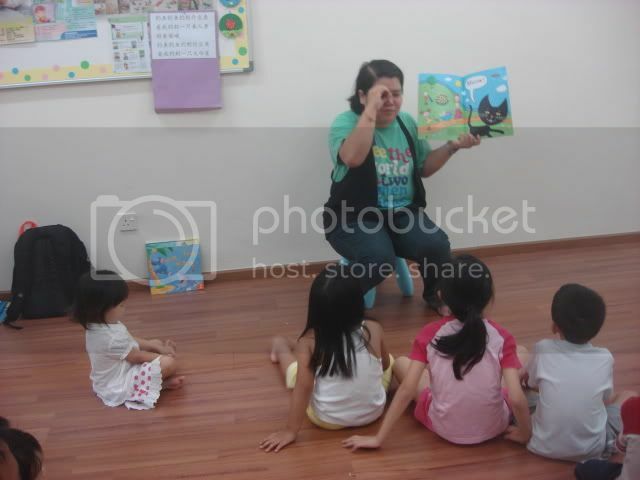 Children picture books, parenting books, recipe books both in Chinese and English. They are arranged nicely on shelves, not racks. One great discovery is that they have story telling session twice a month. First Sunday , being Chinese version and third Sunday English version. We went for our first story telling session yesterday. 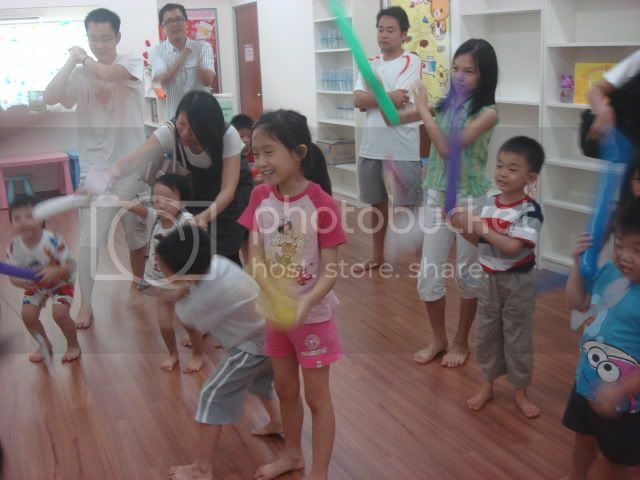 The children loves it, though JL appears to be shy with both the teachers. It was an interesting session which the children enjoyed. 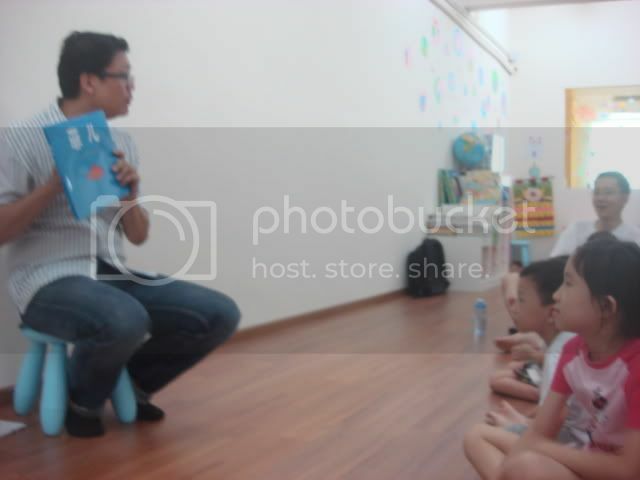 Second set of story telling sessions. 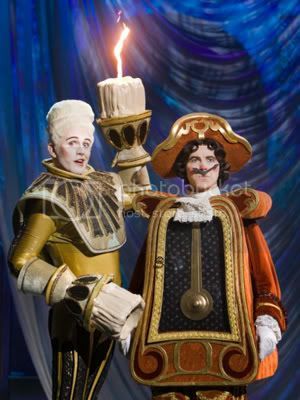 These two teachers are great story tellers, they interact a lot with the children. JS had another splendid afternoon over the weekend. 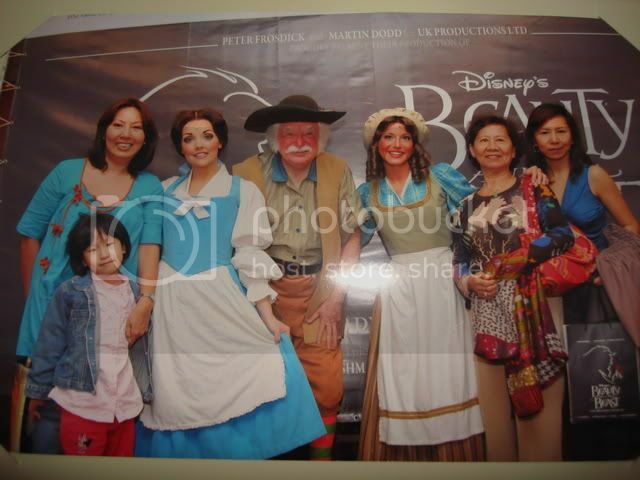 Sunday , she went for the musical with her aunt and grandmother. Daddy suppose to go too, but change his mind last minute (so there’s one extra ticket left), WH has since changed his mind on Saturday and decided to follow me to my parent’s place. It was a 3p.m show , but SILs were invited for the pre-show cocktail at 2p.m as well as “Meet The Cast” photography session (can’t use our own camera though). According to SIL, JS enjoy herself so very much and was humming along and SIL has to got her to soften her voice and concentrate to watch the show. They got quite good seat in front too. Door gift. 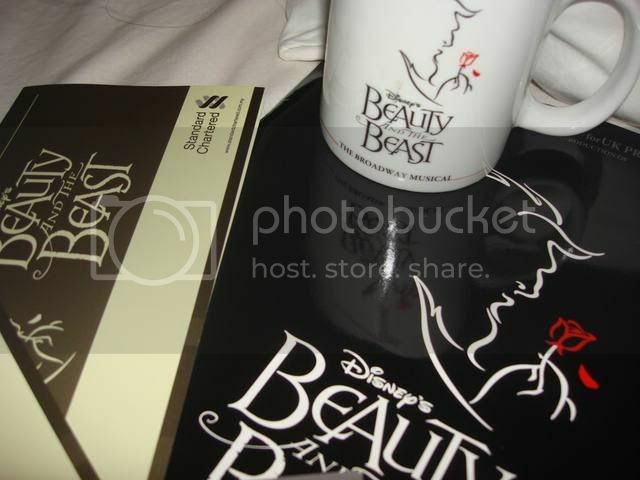 Mug and the program booklet. Meet the cast .. photography session. 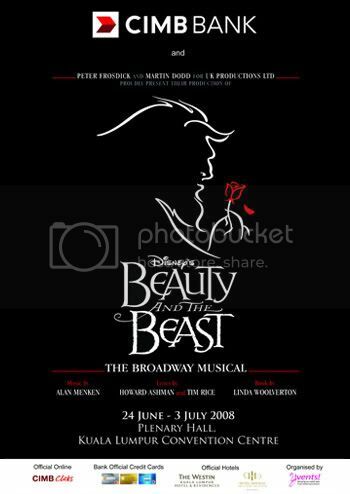 SIL has got complimentary tickets to Disney’s Beauty & The Beast, Broadway Musical this Sunday at KLCC. The family will be there. 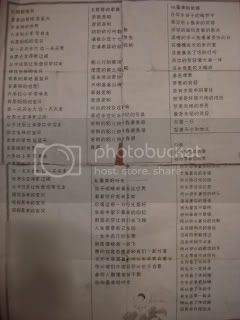 SIL said I can leave baby behind to be taken care by her, MIL as well as the maid, so that I can go for the show with hub and the 2 older kids. But I really doubt baby can stay without me for so many hours. It’s going to be a 3 hour show and commuting to KLCC to and fro takes time too. If baby doesn’t get separation anxiety, I would too. I don’t think I can have peace of mind and enjoy the show without having baby with me. Then I asked, why not I bring baby along, wear her in the sling, nurse her to sleep. Sounds like great idea. 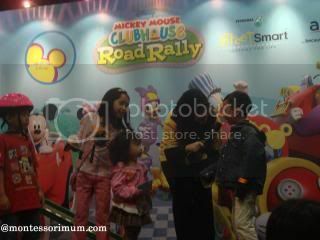 Unfortunately, the event organizer stated that child below 1 year old is allowed. Looks like I have to sacrifice. 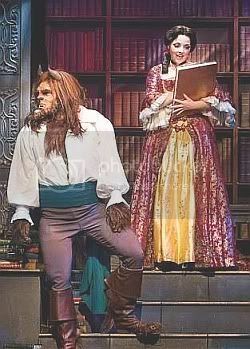 I really love watching broadway musical. Now , the problem, without me going, how about WH. He’s such a timid boy. He never likes cinema (the darkness and the sound system), he never likes weird looking things (including the DIGI yellow man..he got very scared of them) . 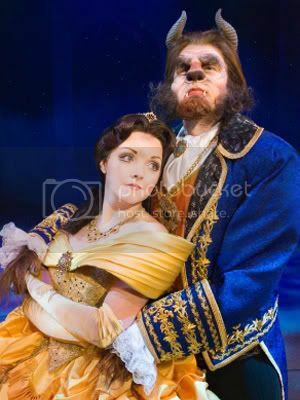 Our concern is that he might get frightened by the beast. cover his ears” (that’s what he usually does when he’s watching TV/movie on show he’s a little scared off) . A little while he change his mind. We told him he has 5 days to think about it. Until today he still says he wants to go, but I’m not sure if he would change his mind on Sunday or even when they were there. 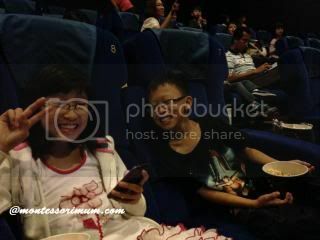 Few months ago, daddy brought the two kids to cinema to watch Bees, that time I was in confinement. I was so surprise to see them home extra early. 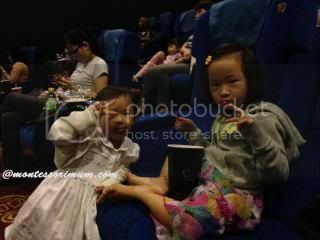 According to daddy and jiejie, he was crying and wailing so loud in the cinema way before the show start. 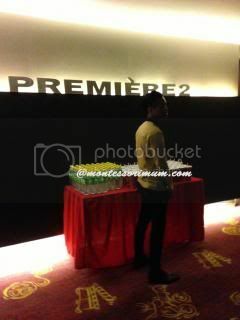 (during those ads and movie preview hour) , he was such a nuisance that they have no choice but left without watching the movie. Now now…will he repeat the same thing again? 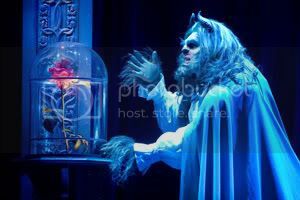 Some pictures I manage to find and show him about the show. Even manage to find videos from Youtube to show them. Jiejie is very excited about it. 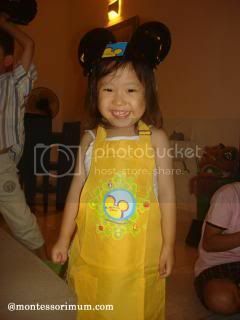 In fact this weekend is already packed with fun filled activities that the she’s looking forward too. 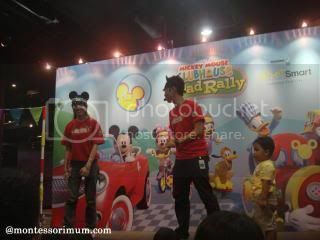 Tomorrow will be daddy office’s family day at the Theme Park.